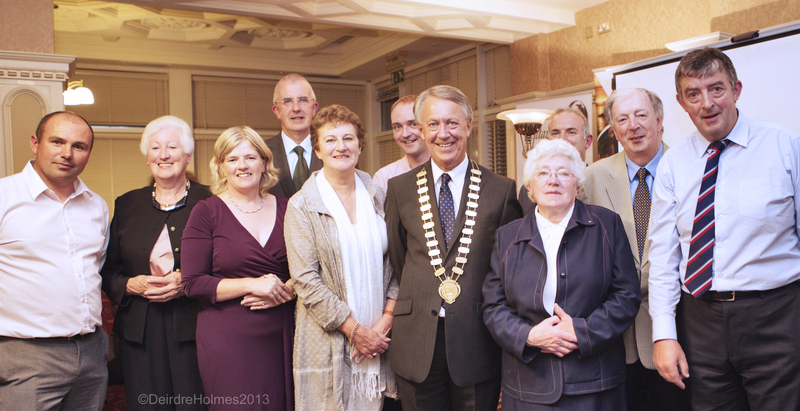 Sr De Lourdes Event at The Lady Gergory Hotel , Gort, Co Galway.List of persons in the photograph starting from the left hand side; Rory O Shaughnessy, Rena Fahy, Marie Mangan, Dennis Corry, Rena Mc Allen, Henry Healy, Liam Carroll County Mayor, Bernard Kirk, Tom Fahy, John Joe Conwell. Copyright © 2010 The Lady Gregory and Yeats Heritage Trail. All rights reserved.